SOBER DRIVER plus free drink from Karma Kola, they have your back! 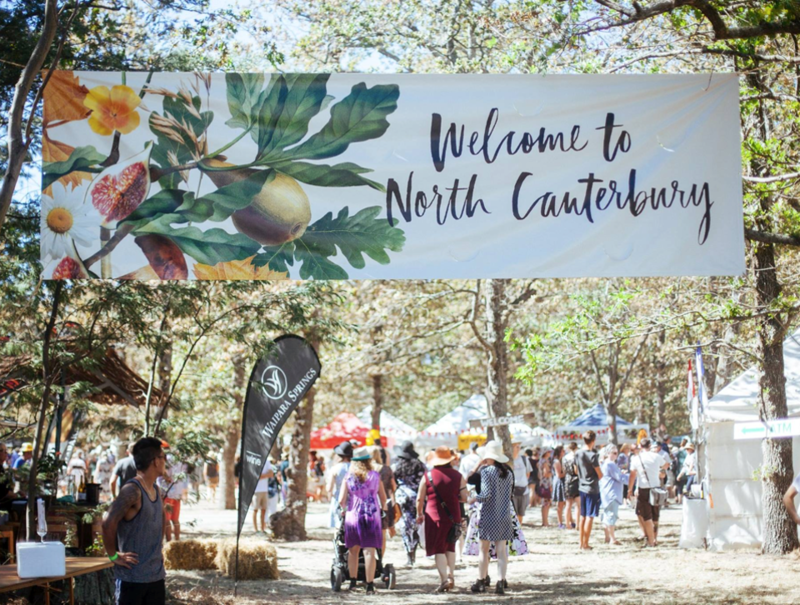 Set under the oaks in Glenmark Domain, Waipara, the North Canterbury Wine & Food Festival (formerly Waipara Valley Wine and Food Festival) invites you to come together and celebrate the local land and produce flourishing on your backdoor step. Join us on Sunday 11 March to enjoy an eclectic range of food stalls, a diverse selection of North Canterbury wine, quality live music and family friendly entertainment. Further details to be released in 2018 - keep an eye on www.ncwineandfood.co.nz to check out who’s going to be joining us under the oaks. When purchasing your tickets, we welcome you to make an additional donation to Māia Health Foundation and one of its key projects: an enhanced rooftop helipad and clinical support unit on the new Christchurch Hospital - a cause close to our hearts. Any accidents that happen in our North Canterbury community through farming, road accidents, or even in our homes - may require the services of this essential and often lifesaving service and landing on the Hospital rooftop (instead of the current helipad in Hagley Park!) will save 13 critical minutes on this journey. So, let’s help Māia on their mission to take the new helipad from good - to great! As a thank you, anyone who makes a donation to Māia Health Foundation during the booking process (big or small!) will go into the draw for a Helicopter Ride for two!! We will even chauffeur you back home at the end of the day!! a super luxe, VIP experience not to missed at this year’s North Canterbury Wine & Food Festival 2018. Cheers to that! Please note under 18’s go free! !